As a new teacher, I know you don't have much time! So I won't waste it. The posts in this series each feature three great strategies you can incorporate right away to make your classroom a better place. I hope you find one (or two or three!) you want to try. 1. Have students journal about the reading before the discussion. For example, "Write a letter to the main character of our novel. Ask questions about what is going on. Give advice. Tell him or her you opinions about what has been going on." 2. Have students journal using their vocabulary words. For example, "Write a story about two surfers who accidentally end up riding their surfboards across the ocean. Use at least five of the words on our vocabulary list." 3. Have students journal practicing the grammar or writing concepts you have been working on in class. For example, "Think of your favorite place in the world. Describe a morning there, using each type of sensory imagery we have been working on." Once you get in the habit of using journals to complement your curriculum, they are a great always-in-your-pocket tool. Any time you find yourself with a few minutes to spare or a daily slate of activities that need more depth, you can just say "take out your journals!" Start a theater corner. My first year of teaching I applied for a community grant. It wasn't much, just $200. But I had so much fun shopping for props at Goodwill and the local theater store. I bought masks and wigs, suit coats and dresses, funny glasses, jewelry, and face paint. I got a bookshelf and baskets to store it all in and tacked up some brass theater masks on the wall above it. It wasn't that much to look at but it really added a lot of great dimension to our classroom. In the middle of reading a novel, if we decided to do reader's theater and act out a scene from the book, we had costumes readily available. If we were reading a play and I wanted groups to perform key moments from the text, I knew right where to send them to help them get in the mood. Our theater corner added pizzazz and fun to just about every week. I highly recommend it. If you can't get any budget, go through your own stuff or ask friends if they have any old costume pieces. Check out rummage sales and Goodwill. Build your collection over time. After a few months of grading every little assignment my first year, I realized my students just did not need quite so much feedback. There are definitely some assignments that need to be competed but don't need hours of your time spent grading. Did you assign a reading response question with the homework? Ask students to fill out a Facebook profile for a character in groups in class? Tell students that their brief in-class writing would be turned in? By all means, collect these pieces of work! But that doesn't mean you need to comment and grade each one. The main thing is that students are completing this type of work and staying engaged in class. You can simply check it off, perhaps giving work that obviously goes above and beyond a sticker. Pop it in your grade book as a basic grade of 5/5 or something similar (based on your own format) and move on. If students ask why they didn't get any feedback, let them know that you do feedback for significant assignments, but you are always happy to talk to them if they have questions or really want to discuss something from the work with you. Need more ideas, and some creative curriculum to support those ideas? 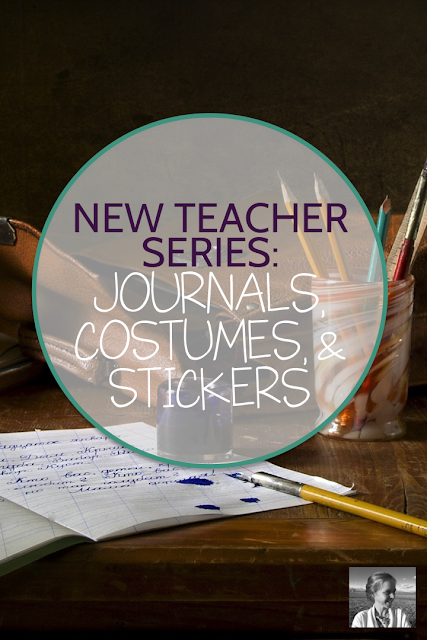 Check out this extensive selection of free resources, made for you!